Finishing your basement is a big step towards adding extra living space – and resale value – to your home. But some smart choices now can really pay off in the long run – like installing tile flooring. Many homeowners take years to work up the courage to finish their basement. There are a lot of concerns for them – not least of which is the purely mental block which makes them think it’s impossible that their cold, dank, unwelcoming basement could ever become a warm and welcoming part of their family home. But when they finally do make that decision – it pays off big time. Finishing a basement is literally like free money to some home owners – adding thousands of dollars of resale value to their home, and hundreds of extra square feet of livable, comfortable family space. But there are some things you need to consider. First is the importance of adding an egress window to any finished basement. Once a basement becomes part of the family home, it’s a national building code requirement that it contains a “means of egress” – in short, a means of escape for anybody trapped downstairs. Adding an egress window well solves this problem – and in addition to being a required part of code (and a smart choice for the safety of your family) a basement window can add natural light and fresh ventilation to a previously dark and dank basement. The materials you use to finish your basement are also important to think about. Some choices you make during the finishing process can really pay off in the long run. 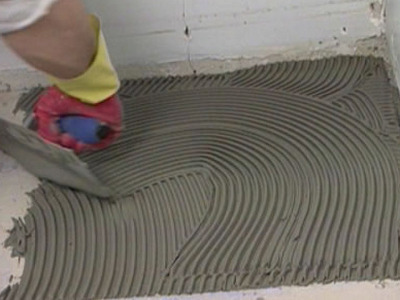 One example is the decision to add tile flooring to your finished basement. First off, it’s totally waterproof – and if you live in an area prone to flooding (or even not prone to flooding, as our weather has been weird in recent years) this could save you thousands if there is a flood in your basement. Even an inch of water will ruin your carpets or wooden floors – forcing you to rip them up and lay new ones. 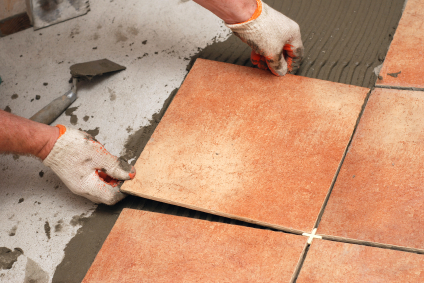 Tile, on the other hand, will withstand floods – and look as good as new after a quick whip with a mop and bucket. 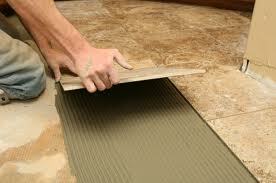 Secondly, tile helps reduce the amount of moisture trapped in your basement. Carpet and even wood flooring can act like a sponge; soaking up the humidity that is an inevitable part of basement living. By installing tile, instead, you can avoid this phenomenon; and your basement will feel crisper and dryer as a result. But if you do decide to install a tile floor, be sure to consult with an expert beforehand. One issue that is important to consider is the “settling” of your home – as this can prove to be the Achilles’ Heel to a tile installation. “Settling” is the natural shift and movement of a home; as the materials warp, twist, shift and adjust to match the environmental influences that affect them. In a basement, this can be seen with concrete floors shifting and cracking; which in turn cracks any tiles installed on top of them. This is why it’s important to use a polyethylene membrane between the concrete floor and a tile; to compensate for this shift. The right thing to do, but something you want to do right. Thanks for the sharing bro…!!! Really a nice post and good tips to floor your basement….! !